Incredible nature landscapes, vibrant cities, welcoming people and an ever evolving art scene are only some of the many reasons travellers choose Brazil as a destination. As the Brazilian art space continues to grow and ahead of the 2018 Sao Paulo Art Bienal, we've put together some of the country's best artistic and cultural highlights. Known as the cultural capital of latin America, with its diverse range of ethnic originis creating a vibrant, synthesized culture. The Bienal de São Paulo is the one of the most anticipated events in the art scene, being the biggest exhibition in the southern hemisphere and lasting 3 months. 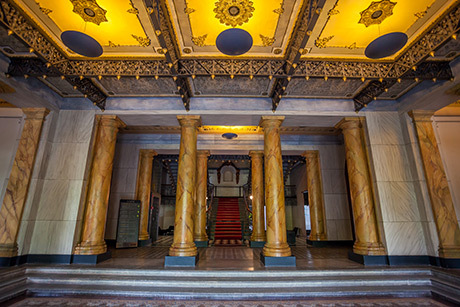 It attracts around 5,000 visitors a year and is dedicated to visual arts, artistic education and development of emerging artists as well as the Brazilian culture scene. Alongside the exhibition, the bienal organisers host a rich programme of events which include seminars, talks, debates, live performances and much more. Inhotim - part museum, part botanical garden, part contemporary art space, the Inhotim institute brings together art and nature in an extaordianry way. Located between the mountains of Minas Gerais, Inhotim is the only Brazilian Institute with a world-class collection of contemporary art continuously on display. Most of the pieces are interactive and connect the viewer to the nature around it, as well as allowing artists to create and show their works in unique conditions. Belo Horizonte - the first Brazilian city to be planned in the 19th century and home to some of Brazil's finest museums and art centres. Occupying the former railway station of Belo Horizonte is the 'Museum of Arts and Crafts', where the history of Brazilian workers is showcased through their professions over time. Originally designed as a Casino, the Pampulha Museum of Art is one of the most famous attractions in Belo Horizonte. 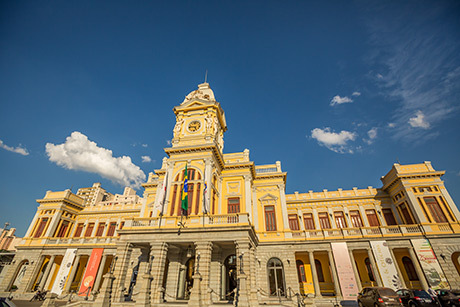 The museum houses a diverse collection of Brazilian art, modern as well as contemporary which include tapestry, sculptures, paintings, engravings and more. The city of Salvador was the first capital of Brazil from 1549-1763 and has managed to preserve many of the historical renaissance buildings within it, in particular the brightly colour buildings in the city's old town. The Salvador Modern Art Museum is located in a former sugar mill right on the waterfront by All Saints Bay and is known for its glorious sunset views. In the summertime visitors will be able to enjoy smooth jazz with Bahian beats at the foot of one of the most architecturally famous building in the city.